We are moving rapidly down the road toward the age of self-driving cars. But as the cars change, the roads will have to change with them, and it will likely mean some adjustments, such as different signage and narrower lanes. 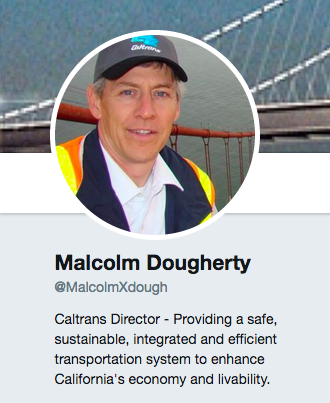 Five years ago, when Governor Jerry Brown appointed Malcolm Dougherty to head Caltrans, autonomous cars seemed a lot farther off than they do now. With ridesharing and even car rental companies getting into the game — and more than a dozen regulatory bills before Congress -- things are accelerating. As the car technology races toward him, Dougherty is keeping his eyes on the road. 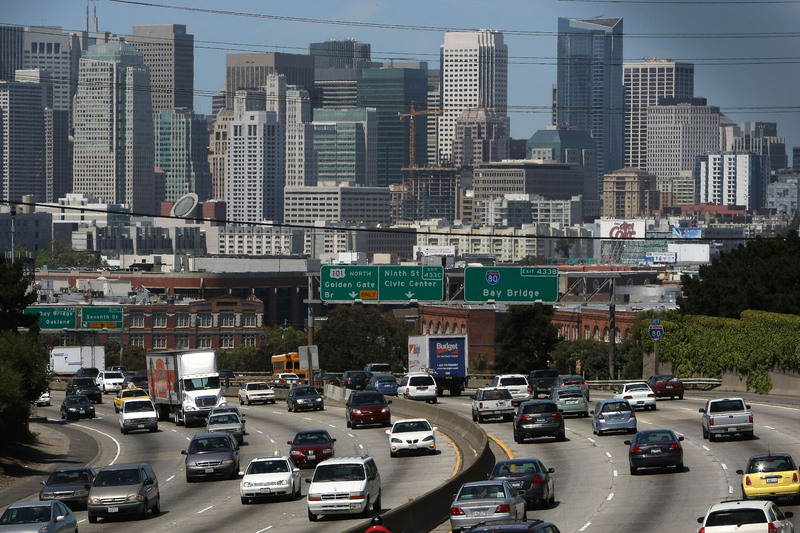 KQED Science Editor Craig Miller spoke with the top man at Caltrans about the future of California’s highways. Miller: What are the challenges you face to adapt California's roads for self-driving cars? Dougherty: Well, some of the challenges are: Where do we start and when do we jump? To date, it's been very difficult for us to fill all our potholes, and now we're talking about spending money and making investments on new technology. There's going to be different technologies and technology is turning over at a very rapid pace. Who goes first? If you're talking about communications between infrastructure and vehicles, do I put the communication devices out there, first, before the vehicles have them? Do the vehicles start to install the communication devices before I put them out there? Who goes first? And whatever investment I make today is going to be passed up by greater levels of technology in three years, or four years. So we certainly want to jump into the new technology and be innovative, but we also have to be smart with taxpayers' dollars, and deploy things that are going to be utilized and not get turned over by technology very shortly. Miller: What sort of changes are we looking at? Dougherty: Well, there's a lot of opportunities. One thing that we do know is those autonomous vehicles are going to be looking very closely at the infrastructure, because there will be GPS in those vehicles, but they will still need to see their immediate surroundings. Whether or not it's lane lines, stop bars, different signs, and those types of things, they're going to have be very visual to a computer or an autonomous vehicle as well as a human-driven car. Can lanes start to get narrower because of autonomous vehicles? It depends. There's some reasons why lanes could be narrower now with human-driven cars, but depending on your setting, we have to thoughtful about the fact that there's going to be human-driven cars and autonomous vehicles before we start making the lanes a lot narrower. We have already taken the steps to update the standard that we use for lane delineation as we call it. But that's a two-fold purpose: one, to increase the visibility for the human driver, but at the same time, we were looking to the future, knowing that we were going to have autonomous technology emerging and taking that into consideration as we update our standards. Miller: And this has already begun? Dougherty: The one significant thing we're going to be doing is increasing the width of those lane lines from four inches to six inches, making them highly visible. Miller: These changes will obviously come at a cost and you've already said that keeping the potholes filled is a challenge. Do you see this technology leading to more privatization of roads? Dougherty: I don't know about the privatization of the roadways, but there definitely is an opportunity to partner with companies to be able to deploy new technologies. There's a lot of companies out there that are providing traveler information through private vendors and private apps, right? So there's a partnership synergy there between us as an owner-operator, and some of those private companies, who are both trying to improve mobility for the end user. We collect a lot of data, we don't package that data and necessarily market it to the end consumer, but we provide that data to those companies that are doing that. Those companies also have data that they're sharing with us, so we're sharing data again for the ultimate benefit of the end user. Miller: Some of the ideas being kicked around involve embedding technology into the roadways -- like wireless charging of moving cars, or piezoelectric roads, that generate electricity from the pressure of traffic moving over them. Implementing any of these would involve huge sums of money. Where might that come from? Dougherty: In some of these experimental ideas that you just talked about, we would be looking to partner with some of those vendors. If you want to show us the value or you want pilot some of that new technology, show us that it works before we can scale it up. We may talk about solar roads, and putting down a surface that's actually collecting electricity -- is that going to stand up to the wear and tear that we put on roads here in California with all the truck traffic? I don't know, but we'll pilot that in a very isolated area to see what its durability is before we put it on any kind of an interstate like I-80 or I-5. And specifically we'll be testing that in a roadside rest area, where if it doesn't perform and it fails, it's not a high consequence for the state of California or taxpayers. Miller: Meanwhile, how fast is the clock ticking, here, for Caltrans? Dougherty: Let's say one-two-three-four-five, years from now, we start to see some version and some level of that technology hitting the street -- a vast majority of the other cars are still going to be human-driven cars. You fast forward out to 10-15-20 years, you're still going to have a mix. So before we start talking about making some significant geometric changes to the highway, we have to take into consideration that there's still going to be human-driven cars out there. I think in some respects, the autonomous technology is going to be sooner than a lot of people think. But getting into your car and having it take you to school to drop your child off and then take you to the supermarket and take you to work without paying attention to the driving -- we're a long ways from that.